Get ready to experience a new Mid-Year Leadership Conference in Kansas City, Missouri January 3-6, 2019. This year we’ve partnered with Plaid to create a curriculum that benefits each attendee and helps them grow as an individual and as a leader. This is for undergraduates. It includes all materials, events, and 1/2 hotel room for 3 nights. Each chapter should register a Sage, Second Counselor, Third Counselor, and Fourth Counselor. If necessary, please contact the Executive Office to update registered members due to chapter elections. This is for Chapter Directors and Province Archons. It includes all materials, events, and 1/2 hotel room for 3 nights. There are some great opportunities for tourism in Kansas City, especially in the Power and Light District where the conference is located! Check out the official site of Visit Kansas City here, or the Power and Light District site for more information. The 2019 Mid-Year Leadership Conference will take place at the Kansas City Marriott Downtown located at 200 West 12th Street in Kansas City, Missouri. The hotel is located approximately 2 miles from the Charles B. Wheeler Downtown Airport (MKC) and 19 miles from the Kansas City International Airport (MCI). Click here for Transportation Options. Mid-Year Leadership Conference events will take place at the meeting and events spaces at the Kansas City Marriot Downtown. Alcohol is strictly forbidden during the scheduled conference hours. Alcohol may be consumed by those of legal drinking age (21+) in a safe and responsible manner outside of conference hours only. This is the collaborative responsibility of chapter representatives, alumni volunteers, Executive Office staff and the Grand Council of Sigma Pi Fraternity. During the functions of the MYLC the presence of alcohol by any parties in attendance is strictly forbidden. Attendees are not permitted to keep alcohol in their rooms during MYLC. Any repeat offenses will result in immediate removal from MYLC and the responsible chapter will forfeit any semi-annual dues discounts. After hours social settings are permissible for responsible alcohol use by parties 21+. Any individual(s) found in violation will have their Sage, Chapter Director, Campus and Regional Director notified. 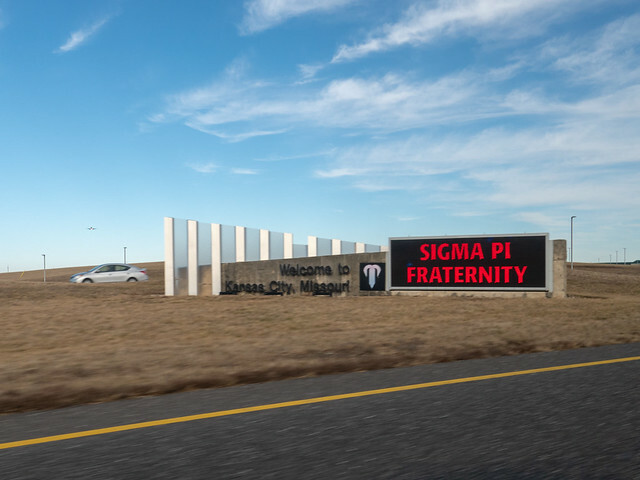 Act in a way that is respectful of your chapter, host institution and Sigma Pi Fraternity. Participants found engaging in behavior or activity contrary to that will be handled individually. Should you or any member of your chapter be asked to leave the conference for poor behavior, your entire chapter will leave with you, you will forfeit your semi-annual dues attendance discount and your chapter will be charged the entire cost of your chapter’s MYLC attendance. The dress code for this conference is business casual (collared shirt with slacks/ jacket is optional) though we encourage you to wear Sigma Pi and school apparel while traveling in and out for the conference. Remember to check the weather reports and pack accordingly! Please contact your Chapter Management Associate if inclement weather affects your travel. 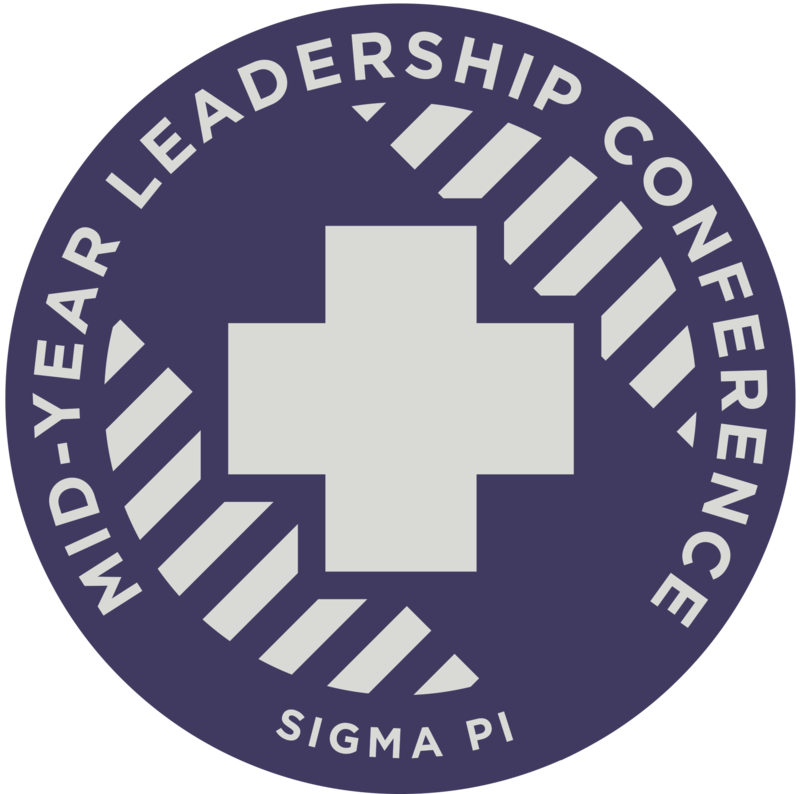 To become a sponsor, visiting the Sigma Pi donation page and select “Conference: Mid-Year Leadership Conference” from the campaign dropdown. From there, fill out the form with your desired contribution.